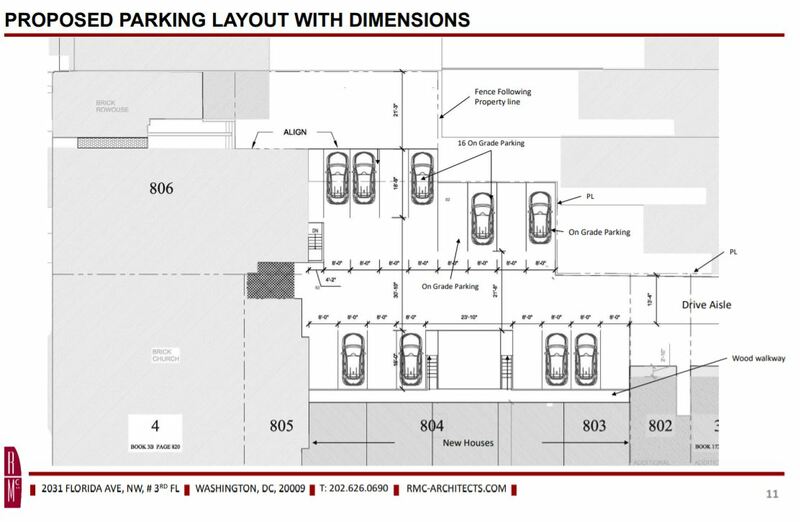 NOVO Development, headquartered on Capitol Hill, is asking ANC6B and the Zoning Commission to allow them to provide 30 parking spaces instead of the required 41 in the proposed 81 unit apartment complex at 1550 Pennsylvania Avenue, SE. In addition, the developer will “unbundle” the parking spaces provided from the units, meaning that residents will not be required to purchase or rent spaces along with the unit. Some residents and commissioners are in favor, but some are reluctant to require the neighbors to shoulder the burden of competing for street parking. The developer says that in order to provide the 41 required spaces, the company would have to reduce the number of units in the building by 22, given the proposed height and mass of the building. NOVO also cited the problematical shape of the lot, and higher ground water on the lot’s east end as being factors contributing to the request for relief. As ameliorating factors, the developer will provide 28 plus bike spaces and pursue locating Zip Cars on site as well as continue efforts to work with DDOT to create additional parking spaces in the neighborhood. In addition, the developer claims that the units – mostly efficiencies and one bedrooms – are meant to appeal to young professionals between the ages of 25 and 34 who are not heavy car users. 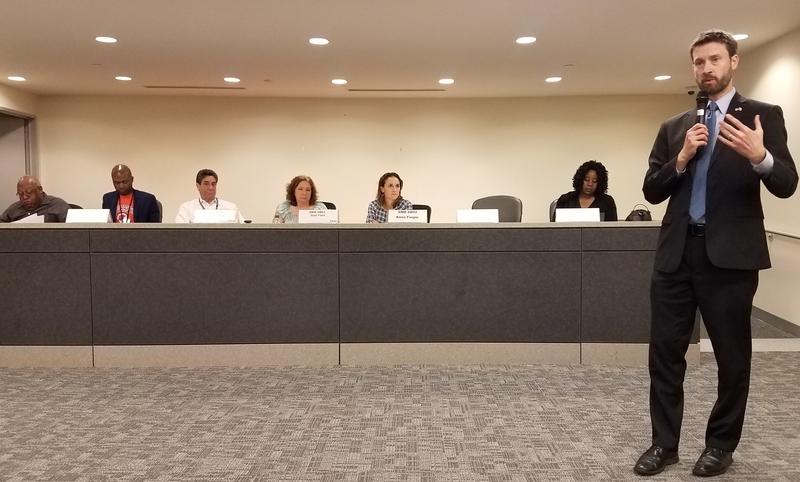 Some 18 nearby residents showed up at the ANC’s Planning and Zoning Committee meeting last Wednesday, all but two of them to express concern about the impact of the building on the neighborhood. Most welcomed the development, which would replace a used car lot currently occupying the site, and agree with the developer that the building would contribute to a safer community and encourage additional retail. But many are concerned about increased demands for street parking which they see coming with the new building. One neighbor said the project would make the neighborhood less safe by providing more targets for crimes of opportunity. When questioned by Commissioner Ivan Frishberg, the developer said that they had not considered the possibility of restricting new residents from eligibility for Resident Parking Permits. Commissioners Frishberg and Pate urged the developer to consider this option. Commissioner Oldenburg said that she “fully disagreed” and opposed creating the resulting two classes of residents. Commissioner Peisch said he tended to agree with Oldenburg. At the end of the discussion at the meeting last week, Commissioner Brian Flahaven, in whose Single Member District the proposed development lies, moved that the ANC Planning and Zoning Committee take no position on the requested parking variance pending receipt of additional information on parking before the April 9 meeting of the full ANC which will consider and vote on the issue. He pledged to work with residents and the developer to reach an accommodation. That motion was adopted 8 – 0. One question that could be asked of the developer at the ANC meeting is, if the 81 unit building is delayed or if the proposed zoning regulations change becomes effective before the plans for the building are complete, how would that fact affect the plan for providing onsite parking, and would the developer be inclined to eliminate the parking spaces in favor of more units in that event. The full ANC will meet Tuesday, April 9, at 7:00pm in Hill Center. I agree with Karen’s comment. There is also the issue of precedent to consider. If one developer gets to build more apartments with less parking, then it will be hard to say no to the next developer, and the next, and the next. The result will be that the people who need to on street parking the most — those who no longer can do all they need to do on foot or on bikes — will have an ever more difficult time finding parking near their home. If you want to do something about automobile traffic and emissions, keep on raising the downtown parking garage fees, which will incentivize commuters — who drive many more miles a year than most DC residents — to take Metro. Please don’t punish the people who moved to DC long ago, drive very little, but still need their car, in a crusade against automobiles. If you drive very little, parking shouldn’t be an issue as you car is parked the majority of the time. lsk987, I drive about 4 times a week. The problem is that I often get home late, after 9 or 10. Right now, I often have to park 2 or 3 blocks from my home, something that wasn’t an issue until a few years ago (turns out that the average new resident owns more cars than the average former resident). If it never gets worse, no big deal. But the new zoning regs are an issue, in that if finding a parking space gets worse, which the new zoning rules will make happen, I could be looking for parking spaces 5 or 6 blocks from home, or perhaps not find one at all, if I get home after 9. It’s pretty easy, from what I see happening right now, to say that even a 5% increase in the number of cars looking for street parking might result in not enough spaces to accommodate everyone. Why should the city make that circumstance come about? Someone on this blog, a few weeks ago, suggested that zip car would be cheaper for me. I pointed out to that person that since my car is 11 years old, in good shape, and paid for, a zip car would cost me far more per year, for about 200 times a year, than at present. Just in case you might have been wondering, I thought I’d preempt that question! Tom, let’s assume you’re right – that the new zoning regulations will make on-street residential parking more difficult. That is a cost, a cost almost entirely paid by those who park on-street. 1. That cost is not without benefit. And I think it’s important to always mention the two together. The benefit is more housing. And while that benefits you – because more housing means more people and more people support more businesses and transit – it’s a little harder for you to see/feel than the costs, so it makes you feel like a net loser while someone else (the mean old developer) becomes a net winner. But there a many winners, not least of which is the city. Which leads to the answer to your question “Why should the city make that circumstance come about?” and that answer is that the total benefit – disperse perhaps, but real – is larger than the total cost. 2. Parking on-street is a tremendous bargain. $35 a year and most people can find a space relatively close to their home. It is currently subsidized by everyone who doesn’t park on street (even those who don’t own a car). So if the cost goes up even 2 or 3 times, it’s still a tremendous bargain. 3. As Alex pointed out, the solution is to fix on-street parking, not to force some taxpayers to also pay for off-street parking. If we think the solution is more off-street parking, then we should all pay for that. Right – the answer here is on-street management. Tom, if you’re coming back at 9pm, it’s no wonder you have a hard time finding parking – that is after the hours of RPP enforcement. Standard DC RPP is only enforced during daytime hours. The program was designed to prevent out-of-state parkers (not even out-of-neighborhood) from parking during the day; it was never designed to ensure spaces for residents overnight. This is just to say that we don’t manage our on-street parking very well. We shouldn’t be surprised that the program isn’t accomplishing this goal when it was never designed to do so! Likewise, the obvious answer should be to look into better management techniques for our on-street parking. This reply is to the comments of both Alex B and David C immediately below. Alex, RPP enforcement might be part of the issue, I agree. But, as noted elsewhere, there never was a problem getting a parking space on our block a decade ago. Seems like most of the newcomers own more cars than the people they replaced. That is one reason why I don’t trust the claim that the people moving to new residential blocks near Metro stops won’t have cars! “Pareto efficiency is a state of economic allocation of resources in which it is impossible to make any one further better off without making at least one individual worse off.” In other words, you look to increase benefits to some only when it doesn’t come at the expense of others. We can do that by building new residential units WITH adequate parking. The city gets more people and taxes, but existing residents aren’t overwhelmed by cars – a win, win, Pareto efficient solution. Regarding benefits, are all parts of the city really better off by flooding each area with new apartment complexes? There is literature about anomimity and alienation in the city, after all. Certainly, by the ball park, or by Verizon Center, there wasn’t an established neighborhood with a strong identity, those are good places to build lots of residences in tall buildings. 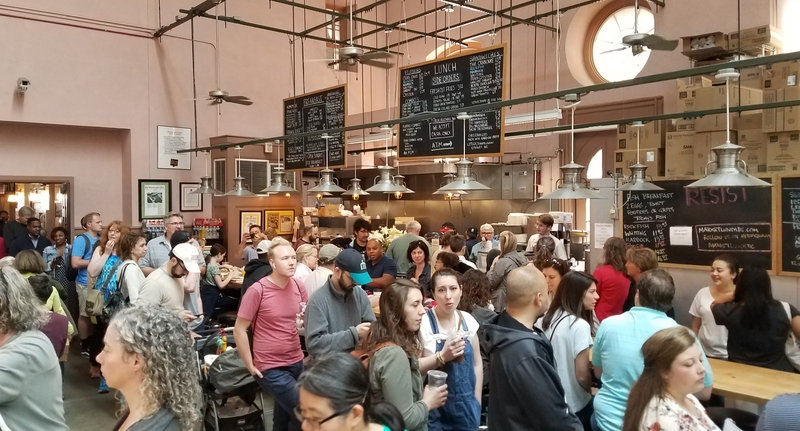 But Capitol Hill does have a strong local identity, if you live here long enough you will see that people get to know each other, it is a real community. The scale, the walkability, are major parts of what makes Capitol Hill a great place to live. If you read Jane Jacobs’ famous books on urban planning, scale and walkability are important parts of what makes a great urban neighborhood. It would be interesting to see whether Capitol Hill residents find it a benefit to have large appartment blocks built wherever possible on the Hill (speaking now to “benefits”). I don’t think developers are “mean,” as you suggest, but they certainly try to maximize their profits and they can be pretty cagy about how they do so, including how they interact with politicians, e.g. PAC money. That is the system we have, the developers aren’t to be faulted for being profit maximizers. But because they are, we in the community have to make sure that the rules they follow, the zoning rules we create, are ones that won’t cause significant harm. But, as noted elsewhere, there never was a problem getting a parking space on our block a decade ago. Seems like most of the newcomers own more cars than the people they replaced. There hasn’t been that much new development on the Hill – it would seem to me that zoning requirements didn’t solve your problem that has evolved over the past decade, why do you expect zoning to solve it now? If on-street parking is your problem, then on-street parking management is the answer. I would agree, except that as noted above, the solution to avoiding new cars overwhelming the streets is not zoning, but on-street parking management (permitting, meters, and pricing). Also, I think ‘adequate parking’ should be determined by the market, not by an arbitrary zoning regulation. the zoning rules we create, are ones that won’t cause significant harm. Except that the zoning rules we do have already create significant harm. Research shows that parking minimums a) increase the cost of housing, b) decrease the quantity of housing, and c) limit the diversity of housing types – all of which are contrary to the city’s goals. Apples and oranges, Alex. The new people moving in took the place of older residents who for various reasons left their homes. This is the apples part, people moving into existing homes but having more cars on average. than the people they replaced. Now, we are getting and will be getting a lot more new residential development in large multi unit buildings. These are the oranges, additional residential units with added people with cars, not the apples of existing units with one set of people replacing another. Zoning couldn’t resolve an issue with new people moving into existing units, with a right to park their cars on the streets. Nor would I want to prohibit them from having the right to park on the street, when no parking comes with the older units on the Hill that they purchase. Those homes were built before 1900 in most cases, before the widespread use of cars. But zoning CAN deal with the issue of a large influx of cars onto our streets from large NEW residential units. These units are NOT built before the widespread use of cars. Zoning can deal with that, as it has in the past, by retaining existing regulations that require builders to provide parking spaces for such new residents. What we are asking is that people that have lived on the Hill for a long time not have a negative externality dumped on us, when it can be avoided. We need our cars, even if we don’t use them nearly as much as commuters. You mention various goals the city has. They sound like ambitious goals for newcomers. What are the goals of the city regarding existing residents? Are our needs taken into account? It doesn’t seem that way to me, to be honest. I disagree. New construction, indeed, can provide more parking. However, I think that the new construction is not the main driver of the ‘large influx’ you’ve seen in on-street parking. The disconnect is that zoning is not a very good tool at determining what the need for off-street parking actually is. Again, you’ve stated a problem: finding on-street parking. The solution is to manage on-street parking. That solution works for all on-street parking, no matter if it is surrounded by old, historic buildings or new developments. We need our cars, even if we don’t use them nearly as much as commuters. You mention various goals the city has. They sound like ambitious goals for newcomers. What are the goals of the city regarding existing residents? Are our needs taken into account? Again, minimum zoning requirements for parking do not address the need for on-street parking that you have expressed! Also, I don’t think you can separate the city’s goals into two groups, as if old-timers and new-comers are different people. The new-comers want to move in, the demand is here. This is the reality we have to address. The issue then becomes how we manage that growth. And I’m making the case that many aspects of our zoning code are exceedingly poor tools to manage growth in ways that benefit the city. Plus, it’s not like new residents are the only ones interested in new housing – plenty of existing DC residents are likely interested in new housing options within the same city and within the same neighborhood. DC is an urban city for all that entails. Where does it say that a city must provide parking for all? If you MUST own a car (and I would argue that I find it hard to believe that if you’re elderly that’s the best way to get around) then you should either own a home with off-street parking or perhaps move to a cheaper location which offers a car-centric lifestyle. Your argument about people who moved to DC long ago holds no water, as their home values have skyrocketed and thus they could afford to move. Don’t forget that we’re still below peak population levels in DC. Oh whatever did all those people do with less cars back then? They chose to live in a CITY, as do we all that live here. There are positives as well as negatives which go along with that. Better public transportation, greater density, and better zoning helps alleviate the need to drive even for those with special needs. Jason, perhaps the reason you find it hard to believe that a car is the best way for us to get around is that you aren’t there yet, and don’t know our activities! I won’t take up space here to detail it, but I can guarantee that I need a car on average 4 days a week, never to get to work (I walk 2 miles to work, Metro home most nights). If you want details, please reply. I agree that greater density around Metro stations is a good idea. I just don’t agree that the greater density should be without parking, or very low parking. 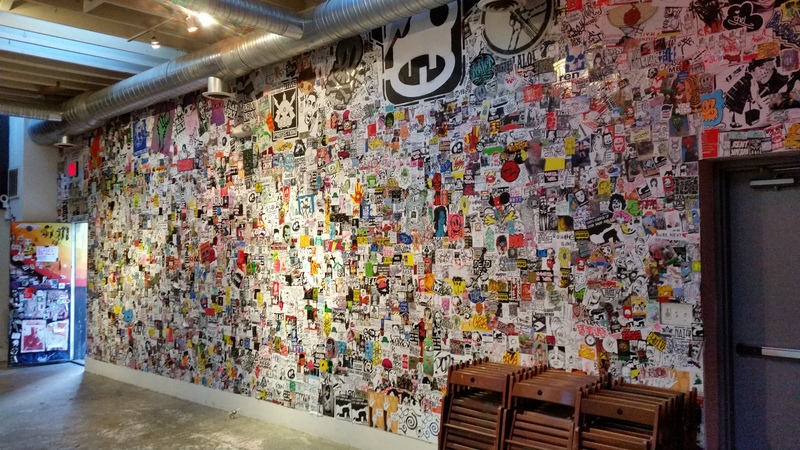 As for moving, most of our social community, our social lives, are wrapped up in Capitol Hill. We do not want to move. We could afford to, but it would impoverish our lives greatly, we would no longer be near our friends. We moved here when cultural attitudes to parking and commuting were different, we were the oddballs because we DID want to live in a city, and DIDN’T want to commute by car. Please don’t tell us that we have to conform to the rules of a new generation in ways that will be difficult for us to accommodate, or leave everything we have known as adults. fair enough — then why does the developer have an issue with the residents being denied the opportunity to acquire RPP? If this is a transit friendly development where cars are unnecessary, put your money where your mouth is. The developer is double talking here. I suspect they just want to max out the units and if parking demend is unmet they’re happy to direct people to the ample RPP parking available (for now). The $35 on-street parking permit is absurd. A massive subsidy bearing no relationship to the law of supply and demand. You could buy a cheap van, fill it with your possessions, and use public space for storage year-round if you wanted to. It should be $35 a month. So we’re talking about – at most – 11 additional cars (40-31) on our streets? I think we can handle that. 81 apartment units and 31 parking spaces; allowing for one unit, one car that would be 50 additional cars on the streets. Some might argue not every unit will have a car, but then the counter-argument would be that some units might have two cars. David, if this was the only development that might come up near the Potomac Ave. Metro, it would be no more than a minor problem, I would agree. But that isn’t what is going to happen. The DC Planning Office wants a great deal of development in the city, especially near Metro stops. One way to get more residents into the city is to eliminate the requirement to build parking spaces, you can then get more residential units into the space you are allowed by zoning. The developer in question, in this article, says that he can build 22 more units if he can build less parking. Developers of course love eliminating parking requirements, they will make more money because of those added residential units. The question is, what is the effect for existing homeowners and renters of continually adding new residential units to our neighborhoods, without parking spaces? This is what will happen with upcoming changes to zoning regulations. If you don’t like that picture, better tell your council members and ANC commissioners very soon. Right, but I was talking about the variance. The variance is only 11 spaces. Also, they’re creating some new parking along Penn. The variance doesn’t really bug me, but I don’t see why the developer gets to have it both ways — less parking because some residents eschew cars (a fair assumption), but residents still allowed to apply for RPP. Well, if they were building town houses (and about 20 could fit there), people would be able to get RPPs, so the residents are entitled to SOME RPP’s right? I might be interested in an RPP per sq/foot of land rule or something – and we could make them tradable/sellable; but that’s not the case now. 20 townhomes is a generous estimate, and please find any new sfh development anywhere in DC which doesn’t include onsite parking. But that’s besides the point. Developer wants a variance based on the minimum being higher than necessary. Fine. In exchange for the zoning variance for this centrally located transit friendly development, car owning residents will need to secure a space (either onsite or off) rather than relying on RPP which we are told they don’t need anyway. If they comply with the zoning requirements as written I’d have no issue with residents gaining RPP if they wish. If the size of the lot is a problem, I believe both townhouses at the corners of the car lot are now for sale. The developers could buy those and increase the size of their footprint, provide more parking, problem solved. This brings up a slightly related question that has been in the back of my mind that you could perhaps help answer? and that is if this new building is such a boon to the area, why is it that a large percentage of houses on Freedom Way and the 1500 block Pennsylvania have suddenly come onto the market? 1. The size of the lot isn’t the problem. I was just suggesting one on-street parking management strategy. As Alex points out. That’s the problem people are worried about. Is that true? What percentage? Is that significantly larger than in other years? Is it different than other parts of DC or other neighborhoods in the area? Do you believe that people are selling their homes and moving in fear of a building with 11 fewer parking spaces than what is required by zoning – a building that has not even been approved, let alone built? Doesn’t that seem like some awfully skittish homeowners for a neighborhood that has not so long ago had problems far worse than slightly tight curbside parking? Perhaps you should poll those homeowners and ask them why they’re selling. Tom. I’m OK with that picture. Portland just reinstituted parking minimums for multifamily projects near transit. Planners there discovered that buildings with few or no parking spaces still had residents who owned cars (72% of the households in these new transit- (and bike-) oriented developments owned one or more vehicles) and that they basically ended up storing their cars on the streets while they commuted by other means. By storing their cars on the street all day (sometimes all week), these residents consumed most of the public parking that had previously served local businesses and other users. Planners there discovered that buildings with few or no parking spaces still had residents who owned cars (72% of the households in these new transit- (and bike-) oriented developments owned one or more vehicles) and that they basically ended up storing their cars on the streets while they commuted by other means. By storing their cars on the street all day (sometimes all week), these residents consumed most of the public parking that had previously served local businesses and other users. None of this really has to do with zoning, however. Portland had a great zoning requirement (that is – no requirement at all), but as I’ve discussed before, that doesn’t mean you can forgo on-street management. If the issue is on-street car storage, zoning will not solve that problem. Managing on-street parking is the solution. Portland never had a good permit program answer. Likewise, if you’re concerned about parking for businesses, then you should manage on-street parking with more parking meters. Meters ensure turn-over in those parking spots if priced correctly, which ensures that any shoppers can always find an available space. If on-street parking is the problem, then let’s better regulate on-street parking. Simple. No, simplistic. We need both off-street parking provision and on-street management. If there’s an absolute scarcity of spaces, no amount of regulation solves the problem. Portland *thought* it had a great zoning requirement, but then theory didn’t work out in practice — so it has abandoned that experiment (just as DC contemplates undertaking it). And this wasn’t a regime-change situation — it was the early advocates of the elimination of minimums admitting that it didn’t play out the way they expected it would. As for what the right minimum is, it’s location-specific (even within a jurisdiction) and it should be a function of car-ownership rates in that locale for that housing type rather than mode splits. People who commute by other means still own cars. And the less they drive, the more they park at home. Origin parking, in that sense, operates very differently from destination parking (where less driving = less parking at the destination). Whether Portland got the number right (for Portland) is a matter of dispute (another experiment, as everyone involved acknowledges). Please define how this ‘didn’t work out.’ What is the problem? You are asserting a solution (zoning) without defining the problem or determining if your proposed solution actually addresses the problem. As it turns out, it appears that Portland’s opposition is just plain-ol opposition to development – people opposed to the new developments as ‘too large’ or ‘out of context’ and looking for any reason in the kitchen sink to stick it to them; parking was one of those reasons. People who commute by other means still own cars. As for what the right minimum is, it’s location-specific (even within a jurisdiction) and it should be a function of car-ownership rates in that locale for that housing type rather than mode splits. However, acheiving the ‘right’ minimum will still inevitably be wrong. It must still apply uniformly in the zone; it cannot account for the variety of lifestyles and demands for space. It is, in effect, a prediction based on an average of the best guess about our preferences. Always beware of averages – I could tell you that a wide river only averages three feet deep, but that doesn’t mean you would be wise to wade across it. Portland did reinstitute parking minimums near transit. But if Portland’s parking minimum were applied here, the developer would need less parking (1 space for every 3 units or 27 spaces total) and that’s without “buying it down” as low as 14 spaces by providing extra bicycle parking, motorcycle parking, or spaces for car- or bike-sharing services. And despite Portland reputation, their car mode share for commutes is almost twice as large as DC’s (70% of trips by car compared to 43% in DC) . So there’s more evidence that 30 spaces is too many then there is that it is too few. Not really — it’s statement of fact borne out by census data and by household travel studies here and elsewhere. Presumably, you’ve observed the phenomenon yourself. I don’t mean to suggest it’s universally true, but it’s certainly not uncommon for Metro commuters, bike commuters, people who walk to work, and people who work at home to own cars nevertheless. Re relying on averages. I prefer approximation to magical thinking. The data we already have is fairly finely-grained (specific to location, housing type, income levels). Those are types of distinctions a zoning code can make (and that zoning codes do make in other jurisdictions). Codes can also allow for shared parking and site-specific reductions when unused parking capacity can be demonstrated. I don’t mean to suggest it’s universally true, but it’s certainly not uncommon for Metro commuters, bike commuters, people who walk to work, and people who work at home to own cars nevertheless. Sure, some will own cars – but you are indeed asserting that this is a universal truth. That’s exactly what setting a minimum is: a universal requirement, based on some data (of inherently limited applicability) that you then must apply universally. My point is merely that human behavior (and car ownership is about behavior, not some hard and fast fact like age) is responsive to context. Therefore, any attempt to nail that behavior down via a regulation is bound to miss the mark. And, as I said above, we (as humans) react to our context. Consider the facts from Portland: There wasn’t even a parking problem! Parking was still freely available within a short walk of everyone’s apartment or house. The other fact to consider is the lack of on-street parking management in Portland. If parking actually were more difficult (or more expensive), then I’m sure many of those people storing their cars on the street would reconsider their storage location, or reconsider the need to own a car at all. Point being, they feel the need to have a car, but that need is highly influenced by our policies. It isn’t some single number or rate that you can pin down if only you could do enough research or find good enough data. Re relying on averages. I prefer approximation to magical thinking. I’m not proposing any magical thinking at all; I am merely proposing to let the market help determine preferences, rather than attempting to approximate them and then applying that approximation universally. Again, if the problem here is on-street parking, then we should manage on-street parking to achieve the goals that we want. Sue, I’d like to add that the Portland study results are based entirely on a survey with few responses, making the data somewhat suspect. It has a built-in self-selection bias, and small sample size problems (only about 1/3 of all residents responded). And it isn’t particularly applicable to DC because we have better transit, lower car ownership, a denser urban fabric, more available car sharing and bike sharing. The study points out that “The literature review conducted through this study suggests that the unbundling of parking and rent lowers rental costs. This literature suggests that density and carsharing reduce personal motorized vehicle ownership rates, and dense neighborhoods with strong transit and active transportation options reduce driving. According to the Forinash et al. research, carsharing can dramatically decrease the need to own a private vehicle. However, ofthe eight Project Locations studied, few have designated carsharing parking spots in the immediate vicinity.” But we have designated carsharing parking spots. In the study areas they looked at, the parking demand was only about 65% of available parking. So that also makes it seem less applicable. 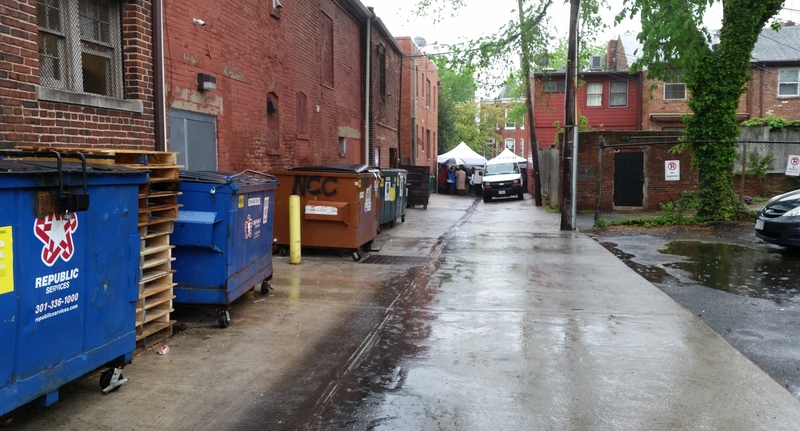 And, as I pointed out, even when they decided to add a minimum parking requirement, it was well below what we have in DC – even though DC has reasons to need even less parking. Ok, let’s not call it magical thinking (if we don’t build more parking, there won’t be more cars ; if people can walk or take metro to work, they won’t own cars), let’s call it an attempt at economic coercion. Behavior is malleable so, if we make it expensive enough and inconvenient enough, more people will be forced to give up their cars or live (or shop or work) elsewhere. To the extent that that works, it’s likely to represent a Pyrhhic victory — forcing car-owners to the edges of the transit grid, sending shoppers (and shops) to more suburban locations, etc. Part of the “context” that determines automobile ownership in this area is that our public transit is slow/infrequent (outside of weekday rush), and has limited hours and limited reach (including to many jobs outside the District). Another part is that our education system is such that many people opt out of neighborhood schools. And we have rival jurisdictions in close proximity competing for jobs, residents, and retail. In this context, it seems really stupid to me for DC to adopt policies designed to force people to choose between transit access and car ownership, Facilitating a car-lite lifestyle (e.g. by setting/enforcing realistic on-site parking requirements especially for new multifamily residential development) seems to be a much better plan, especially in neighborhoods where the housing stock is attractive to families. Human behavior is malleable and evolves — more kids growing up walking, biking, taking transit lays the groundwork for a less automobile-dependent future. let’s call it an attempt at economic coercion. This door swings both ways, of course. If you are alleging that removing the requirement is economic coercion, setting the requirement is also economic coercion, is it not? One of the simple things to help get better transit service would be to allow denser development, and allow it to be built without mandatory car parking spaces. And we have rival jurisdictions in close proximity competing for jobs, residents, and retail. We’re never going to beat the suburbs at their own game. And they’re not in a position to out-city the city. So why should we be trying to impose a fundamentally suburban geometry (the car and all of the associated costs and spaces) onto an urban environment that is very valuable? By all means, we can and should accomodate cars where possible, but certainly not to the detriment of walking, biking, transit, or urban density. Parking minimums are exactly this kind of detrimental imposition; their costs outweigh the benefits substantially. The policy I am proposing “forces” no such thing; it does, however, recognize the inherent cost of providing for the car in an urban environment. The choice already exists; and we make it for them via regulations that default to the car. I’m in favor of giving that choice back to the people, rather than making it for them. Change is inevitable. Pursuing a policy that argues we shouldn’t have to change is spitting in the wind. The choices and tradeoffs are fundamentally part of an urban environment, and arguing that we can have our cake and eat it, too doesn’t really address the core issue. Sue hit the nail on the head here. I love the metro, but I can’t remember the last time I took it on a weekend or even most evenings. What would be a 20-25 min ride at 8:30 M-F could easily take you an hour on a weekend. So, I either stick to something closer by and/or drive on weekends. It’s reasons like this that people may bike/metro to work, but still own cars. Those cars might not be moving much M-F, but they need to sit somewhere. But that’s an argument for putting more resources into transit, not for putting more resources into driving. And choosing to do one, makes it harder to do the other. So, I should give up transportation that has been reliable for years in the hopes that improvements will be made in other forms. Makes perfect sense. No. No one has to give up anything. But we’re talking about where to invest future resources. There are many great things about cars, but they have some drawbacks too, and they create problems that are in contrast with the city’s goals, so we’d like to encourage people who can and will use other means to do so. I didn’t say anything about forcing anyone to quit driving. I’m talking about helping people who want to use transit to do so. Sue, thank you for digging up this info about Portland, and for your clear, thoughtful, and polite discussion(s). As it happens, I am one of those who walks to work (have done for 36 years, and will continue as long as knee and back permit), but I also own, and need, a car. One or two trips to the burbs weekly, at sites not near Metro, for example. And increasingly, doctor’s visits, often not near Metro. Thank you for all the factual data you have added. Sue, reading the link you provide, the residents in Portland are getting upset because they can no longer park in front of their house. In parts of the Hill, we are already far past that, I have to part 2 to 3 blocks from my home if we get home after 9 PM or so. Our concern is that with a flood of added cars, owned by people in parking-free new residences, we might not be able to find parking at all, or perhaps 5 to 6 blocks from home if we are lucky. I agree that our existing conditions involve more scarcity than Portland’s, so there’s no comfort to be taken in the fact that, for them, parking can still be found a couple blocks away. Obviously, it won’t be the same for us — we’re already long past that point in some areas. That said, it probably won’t be the same for them for long in some neighborhoods. As you can see from the graphic in the WW article, there are lots of units currently under construction in one area and their impact, of course, was not registered by the study of existing TOD buildings. Lots of the concern in Portland was about what was in the development pipeline rather than what was already built and housing people. The function of the Portland study wasn’t to assess parking availability so much as to settle a factual dispute between planners and residents about whether TOD oriented buildings would primarily attract occupants who didn’t own cars. Turns out that the planners were wrong and the residents were right. It’s not on-site parking that induces demand for car ownership; it’s a series of other needs/desires/interests. (FWIW, NYC did a similar study and reached similar conclusions — car ownership isn’t a function of on-site parking provision (or proximity to transit) — it’s more a function of household demographics (income, presence of children) and, to some extent, proximity to the CBD.) You can find similar patterns in DC which, because of its historic housing stock, has car-free residential units of all types (detached, duplex, rowhouse, flats, apartment buildings, condos). But we should accommodate biking/walking/etc to the detriment of parking for long term residents? Why is walking or biking “better”? Certainly healthier for the individual doing it. I can see an argument for some minor pollution reduction, but it’s not like parked cars are impeding your ability to walk/bike. … or creating any polution when not in use. sustainability proponents are quick to admonish DC residents for their cars because they’ve gotten nowhere with a commuter tax. Commuters typically drive about 3 to 4 times as many miles per year as DC residents who own cars. If you want to do something about greenhouse gases emitted from cars, keep raising the parking garage fees downtown, that will make commuters think about the continued benefit of long distance commuting by car. It might even make some of them move to the city, a win win situation. But don’t wage war on long time DC residents who have led a “car-lite” existence for decades. Don’t take the callous attitude seen elsewhere on this blog, where a commenter suggested that people like me should consider selling and leave the city if we “think” we really need a car. Yes. Both the District and the Federal Government support the idea that we should encourage more walking and more biking and less driving. That’s a goal of numerous planning documents – including the Sustainable DC plan last year – to come out of DC. So if that means removing parking to put in wider sidewalks or on-street bike parking; or removing requirements for off-street parking to make it cheaper to live car free, then that is what we should do .. And I’m unclear why it matters if one is a long-term resident or just moved in yesterday. All citizens are equal. Less pollution. Les CO2 emissions. Better for health. Reduces congestion. Better land-use patterns. Better social interaction. Safer. Cheaper. Uses fewer resources. Less property damage. Quieter. Accessible to more people. Unless your elderly, handicapped, have children, don’t work near a metro station, house isn’t close to bus/metro. Is not relevant for this neighborhood. Biking 10 miles isn’t unreasonable. And there are also buses. And you can keep a bike at a Metro station to further your reach. I’d guess that 90% or more of Cap Hill residents could get to work in under 45 minutes without using a car. In DC wider sidewalk = cafes gobbling public space for private use. Seems to promote privitizing public space more than sustainability. As mentioned by Tom — 3-4x the commuting miles for outer jurisdiction commuters. Sure, driving anywhere creates more pollution than not driving at all, but it’s all relative. The occasional drivers are not the problem — they’re just low lying fruit in this discussion because DC can’t reign in car commuters who are the real polluters. What percentage of DC sidewalk is “gobbled up” by cafe’s? 1%? 2% maybe? Ok, but that isn’t their goal. Their goal is to transition more trips in DC to biking, walking and transit. That they can do. But we should accommodate biking/walking/etc to the detriment of parking for long term residents? Why is walking or biking “better”? One simple reason, Eric: scale. Cars just do not scale. They require a very large amount of space. A transport system based entirely on cars is (by necessity) sprawling and not dense at all. This is just a logical consequence of the basic geometry of cars; they require large amounts of space, they push de-centralization because of that. Transit, biking, and walking all go hand-in-hand. Most transit trips start and end with a walking trip. These modes, unlike the car, do scale. They like to cluster together. Once you hit a critical mass of stuff (residences, shops, offices, etc), then a walkable environment is a positive feedback loop. You can accomodate cars in this place, but you can never rely on them to be the backbone of your transportation system. This is why you will almost always see, even in very car-dependent places, higher transit usage in downtowns than in suburban office parks. The former is based on scaling density and clustering stuff together (even if poorly achieved), the latter is based on spreading things out. The problem with the reliance on the car is that once you spread things out too much, it’s very difficult to scale them up to walkable densities and designs. Tysons Corner is trying to bridge this gap right now. They don’t have a choice, they’ve reached the limit of how much they can grow when relying solely on the car. But it’s going to be a painful transition for them. So there’s no middle ground between reasonably balanced urban transit friendly communities like Cap Hill and Tysons sprawl? I’m not buying that. maybe we should adopt Tokyo policies and requiring proof of parking site ownership in order to register a vehicle. Or just outlaw cars. So there’s no middle ground between reasonably balanced urban transit friendly communities like Cap Hill and Tysons sprawl? Did I say that? Please do not twist my words. Eric asked why we, in the city, should favor transit, biking, and walking over cars, and I gave my answer. I think you implied it in an earlier response where you said we can’t outsuburb the suburbs. That’s not what anyone is advocating. We see a really appealing and successful middle ground in neighborhoods like Capitol Hill where families can live (and have been living) car-lite for years. We want to see that middle ground cultivated and expanded because it’s an environment that has the potential to keep people in the city and out of the burbs. And the simple thing people are talking about here is retaining a regulation that requires developers to internalize some of the costs of growth by providing off-street parking for a fraction of their tenants, so fewer residential parkers are dependent on the street. Sue, that’s fine – I don’t disagree with those goals at all. I just fail to see how zoning requirements for parking help achieve those goals. If the parking is so valuable, the market will provide it. If the market does not, then that’s because people are willing to go without it (otherwise the parking would’ve been provided). Just to re-iterate, we’re talking about removing the requirement to provide parking, not about removing any existing parking, or about refusing to allow new parking to be built. Indeed, building without such a requirement is the way our historic neighborhoods like the Hill were built in the first place. If no one is interested in attempting to out-suburb the suburbs, then why rely on a fundamentally suburban zoning tool like minimum parking requirements? I wonder if some of the commenters on this thread don’t have a good sense of what life is like for people not in their immediate peer group? Although I still walk to work (2 miles), I can no longer use a bike, after four knee operations. So it IS unreasonable to ask me to use a bike, as much as I enjoyed them in the past. Yes, there are buses. But they don’t go to many of the places I go to when I’m not at work. Just a fact. One example, I enjoy walking on the C&O towpath upstream of Great Falls National Park (where there is more wildlife) on occasional weekends, eight months of the year. 40 minutes by car, impossible by any form of public transportation. And when I can get to a place by bus, time still matters. I could get to my doctor in Rockville by transit, but I get there twice as fast by car. I would care about that amount of time lost even if I wasn’t still working. Basically, you can’t transition me to more walking or biking trips, and I do need my car and a parking space for it. Can I ask commenters to please not be so quick to tell others what is reasonable for them? I’m all for encouraging other modes — but as a lifelong* non-driver (by choice), I’m under no illusion that making it harder for people to drive or park necessarily makes it easier for me to walk, bike, or take public transit. What bugs me most about DC’s transportation policy is that it seems to have been hijacked to serve development interests rather than oriented toward getting people where they need and want to go. And instead of encouraging alternative modes by making transit better/more appealing; DC seems focused on making driving worse. It’s a race to the bottom rather than a competition that raises the bar. As far as I can tell, this approach doesn’t lead people to abandon cars — instead they just keep making cars bigger and more luxe. More cup holders, better entertainment systems, cushier seats. Settle in — you’ll be here awhile. *thus far — I hear you, Tom! And have watched parents and in-laws become more car-dependent by necessity. I don’t see anything hijacked by development interests, but rather a very sensible linking of transportation policy and land use policy. The two are not just intricately linked, they are two sides of the same coin. As for ‘making driving worse,’ I don’t see that at all. What I do see is acknowledgement of the basic reality of scarcity (whether in terms of parking or driving or congestion), and that is price. We can make it easy, or we can make it cheap. We probably can’t do both, and we should be aware of the unintended consequences if we do try to do both via regulations such as minimum zoning code parking requirements. This is the kind of statement that prompted my magical thinking comment earlier. Assume market perfection and then whatever happens will be exactly what should have happened. No one’s unclear on that. We’re talking about whether parking infrastructure will keep pace with growth. Scarcity can be created or exacerbated by increases in demand that occur without comparable increases in supply. To the extent that parking minimums generate supply, their elimination is likely to mean that, in the future, new construction will include fewer off-street parking spaces than previously. At the same time, the number of curbside spaces is only going to decrease over time (we aren’t adding roads, but we may add curb cuts, loading zones, bulbouts, bikeshare stations, streetcar platforms, etc.) so growth has to be accommodated through off-street parking spaces. If it’s accommodated at the construction stage, there’s the opportunity for parking to be undergrounded. But once a building is constructed, that opportunity is lost – usually for decades. I’d much rather see parking undergrounded and scarcity averted than scarcity exacerbated and land wasted on lots or above-ground parking structures. Because of our low (fractional) minimums, parking typically isn’t bundled with housing in this market, and it isn’t free. What minimums do is not subsidize drivers but ensure that more of them have the option of store their cars off the street at their homes. People who live in multifamily buildings, unlike some (but not all) single family homeowners, don’t have the ability to build those spaces themselves – they don’t own the land. That’s another reason why it’s important that realistic on-site parking requirements exist for such projects. In response to Alex, markets make LOTS of mistakes. Markets are about profit; they are not tasked with striking a balance of community concerns. That is why we have zoning and other public regulations. Are you really willing to turn all decisions that affect others in the community over to the impersonal market without some requirements that those who are profiting from development must take care of the additional burden on the community that they are anticipated to create? One cannot make a credible case that new development will generate zero vehicles, nor that developers have an encompassing concern with the community they leave behind. Most people who have lived on the Hill, raised a family here and want to remain here for the rest of our lives want this to remain a cradle-to-grave community for generations to come. 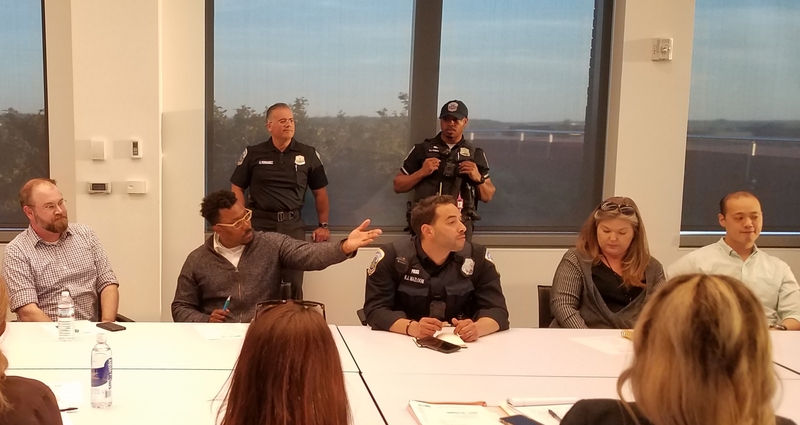 Parking policies now proposed let developers off the hook in providing for new residents they will house, put all the burden to solve problems on DDOT and residents, and take power out of the hands of the community to participate in the dialogue about new development. No, I am not. As I’ve stated before, I just think we’re regulating the wrong thing. Requiring a minimum amount of parking through the zoning code does not solve any problems of on-street parking; it increases the cost of building housing; it increases the price we pay for housing; it decreases the diversity of housing options; it makes infill development projects more difficult. I would argue that none of those are good outcomes for the city. The regulation I would like to see is one that better manages the on-street parking we do have. I would disagree, markets are all about allocating resources. There’s a big difference between using markets to an end and advocating for a complete rebuke of all rules. Likewise, pretending that markets do not exist is perilous. And that’s fundamentally the problem we have with parking – it is a scarce resource, and we have questions about how to allocate it. I am making the case that zoning code minimum requirements are an inefficient way to do this, that they do not actually address the core issues for on-street parking at all, and worst of all, they cause a number of negative, unintended consequences that hurt the health of the city. Is this free-marketeer Alex’s view of what the future looks like? If so, it sure has a lot of cars. Yes, markets are generally a very good way to determine allocation of resources (I agree with Alex on this general point), but cities aren’t like markets for candy bars. The rules that a city makes (zoning) determines how scarce a resource is. The characteristics of the market, in other words, are inseparable from government decisions. Alex makes the point that “Requiring a minimum amount of parking through the zoning code does not solve any problems of on-street parking.” That is right, so far as it goes, it is tough to park on our block these days. But what Alex doesn’t say is that changing the zoning code will make the on-street parking problem far worse than it is today, and far worse than it othewise would be. Alex wants a market solution, but only after the government has changed the rules to make on street parking far harder to find than if the rules had not changed. Alex also says that current zoning “increases the cost of building housing.” A different way to say this is that current zoning ensures that there will be adequate parking for both new and existing residents, so that the city’s rules don’t impose new costs (externalities) on existing residents. These costs are, initially, the inability to park near your home, later the inconvenience of not being able to do the things you are used to doing because you are afraid you won’t find a space when you get back, and finally paying for indoor parking once the government-induced “market” for parking has gotten so costly that developers will build more off-street parking. Let Capitol Hill continue to be the friendly neighborhood it has been for decades, not a neighborhood where we will dispute over parking. Capitol HIll residents already walk a great deal. I drive only 4,500 miles a year, but when I do drive, I need to do so.